How do some political leaders capture popular support? What is the appeal of belonging to a nation? Can democracy thrive? 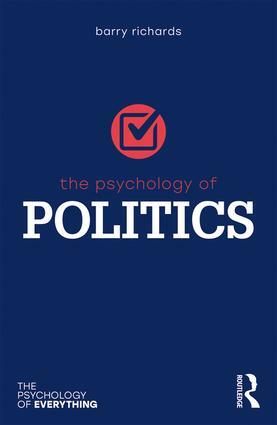 The Psychology of Politics explores how the emotions which underpin everyday life are also vital in what happens on the political stage. It draws on psychoanalytic ideas to show how fear and passion shape the political sphere in our changing societies and cultures, and examines topical social issues and events including Brexit, the changing nature of democracy, activism, and Trump in America. In a changing global political climate, The Psychology of Politics shows us how we can make sense of what drives human conduct in relation to political ideas and action.